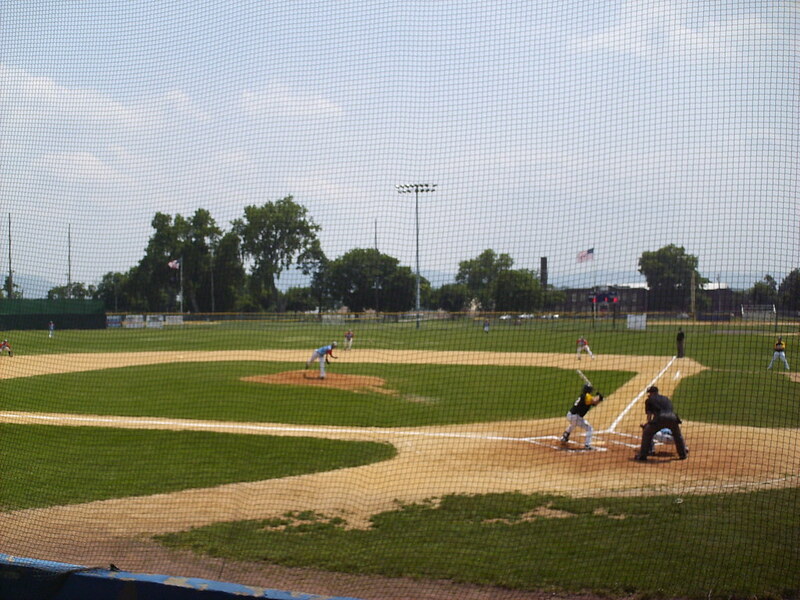 The view from behind home plate at Delano-Hitch Stadium. 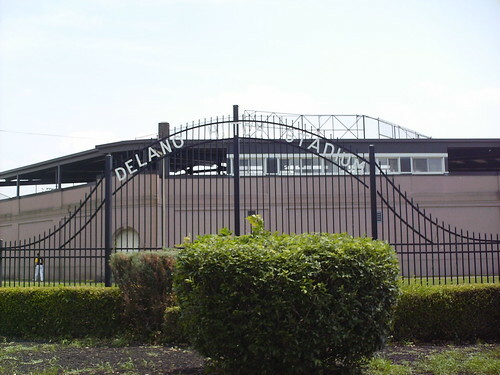 The grandstand at Delano-Hitch Stadium, as seen from the right field corner. 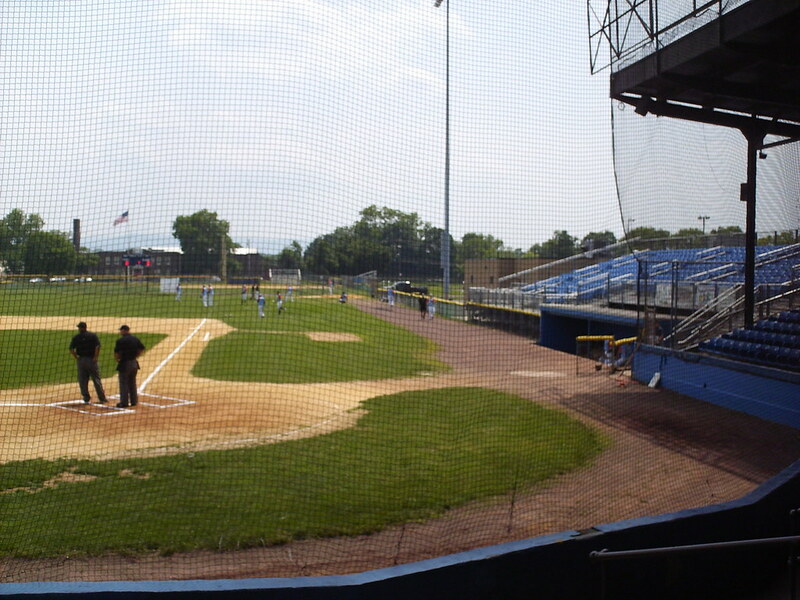 The pressbox at Delano-Hitch Stadium, set back up against the top of the grandstand behind home plate. 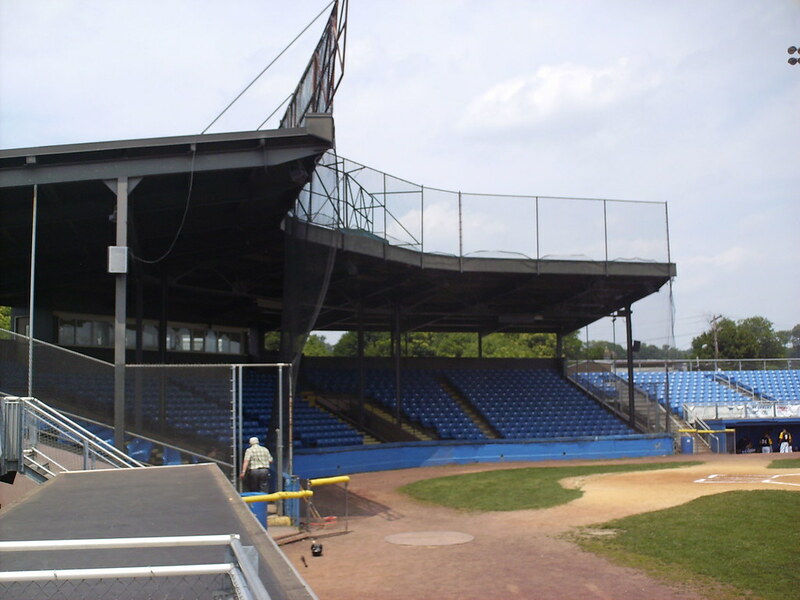 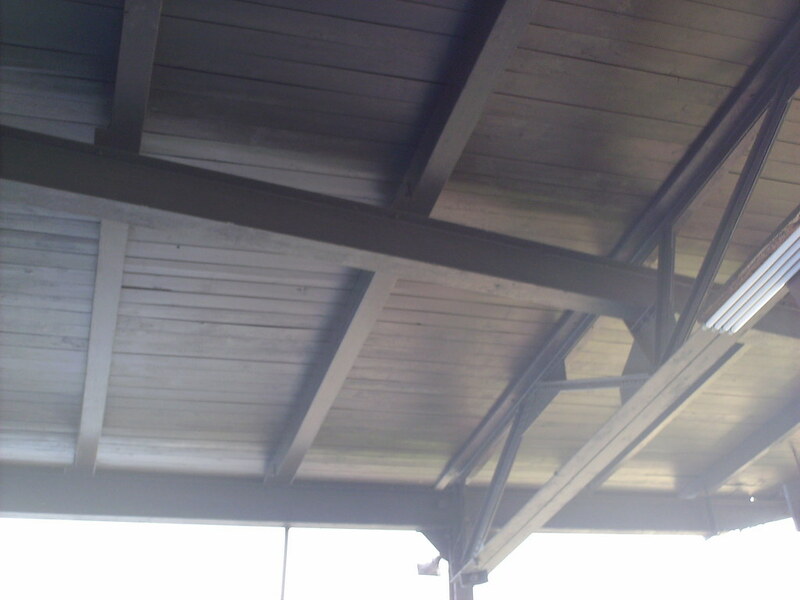 The mostly concrete grandstand was built in 1926 and features a wooden planked roof. 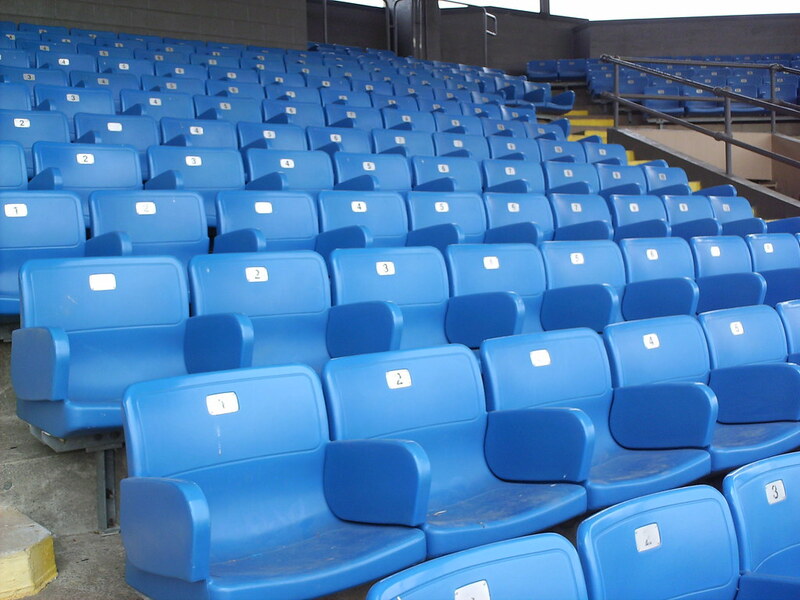 Seating in the main grandstand is blue plastic bucket seats. 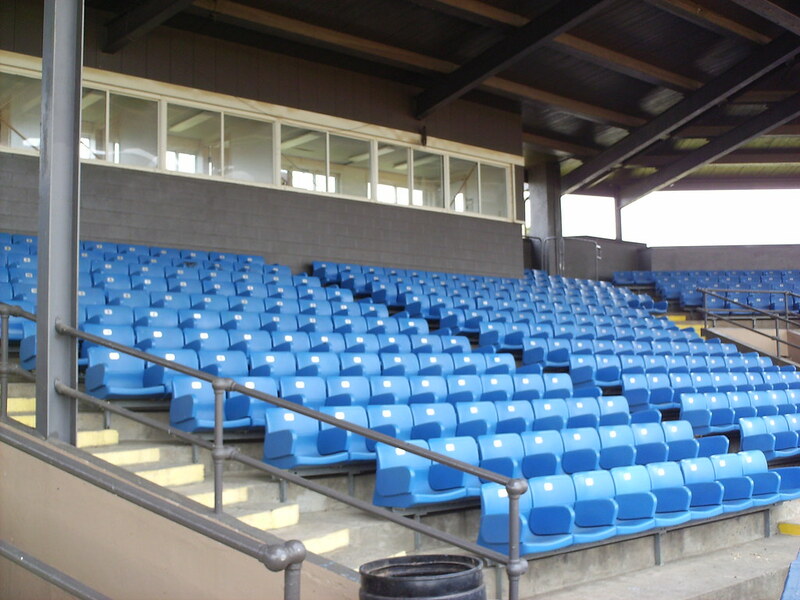 Uncovered "bleacher" seating extends out from the main grandstand down the first and third base lines. 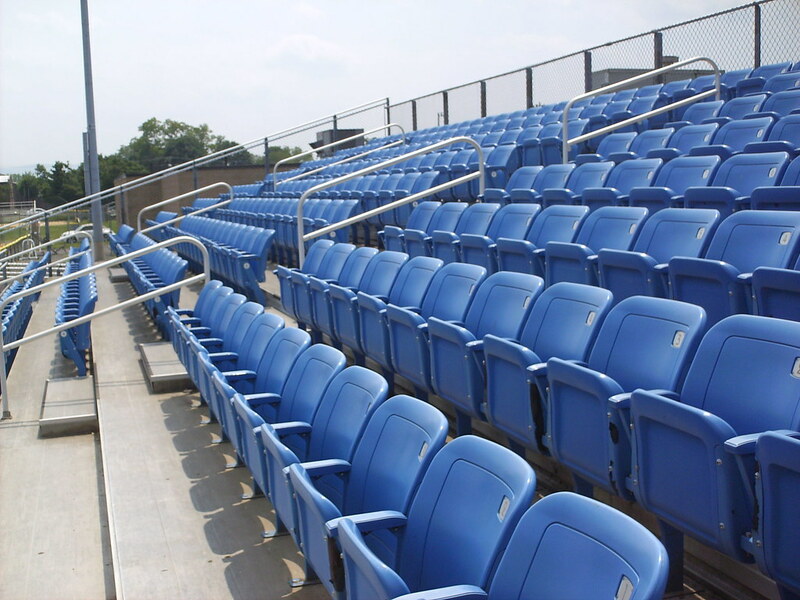 Seating in the bleacher sections are fold-down seats in the same color as the bucket seats in the main grandstand. 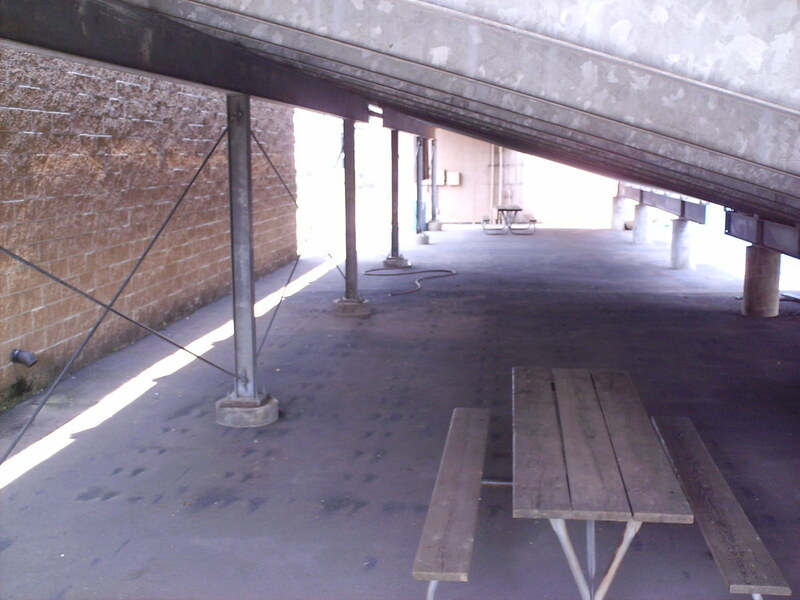 Picnic tables sit in the shade underneath the bleacher section on the first base side of the field. 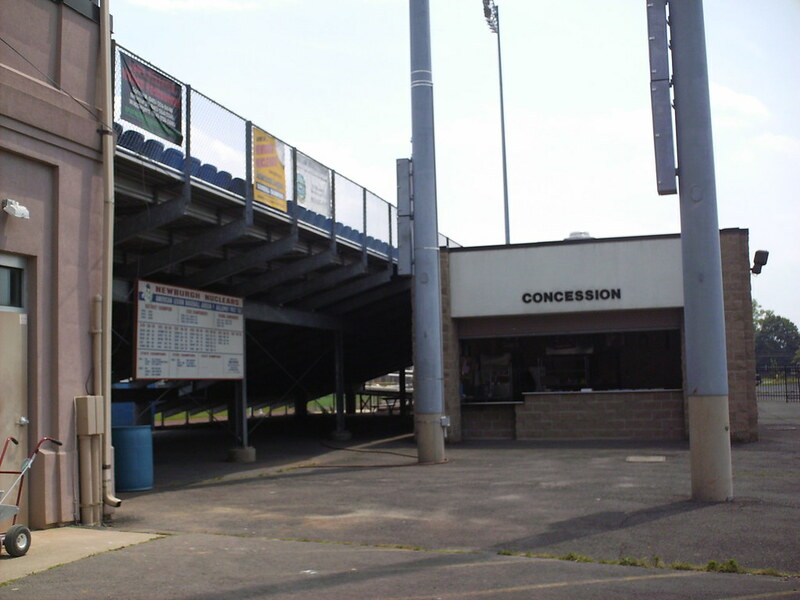 Concession stands and the outer concourse at Delano-Hitch Stadium. 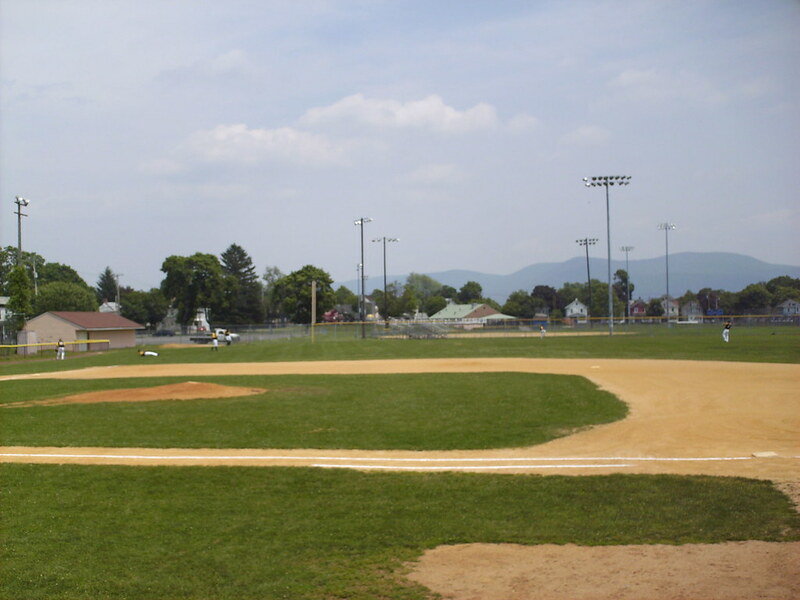 The stadium features a large amount of foul territory down the baselines. 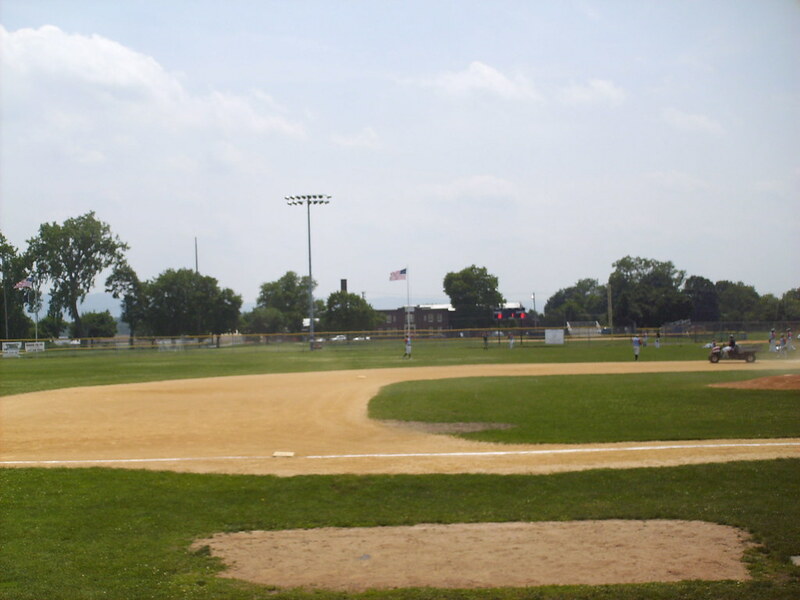 The visitor's bullpen in foul territory down the left field line. 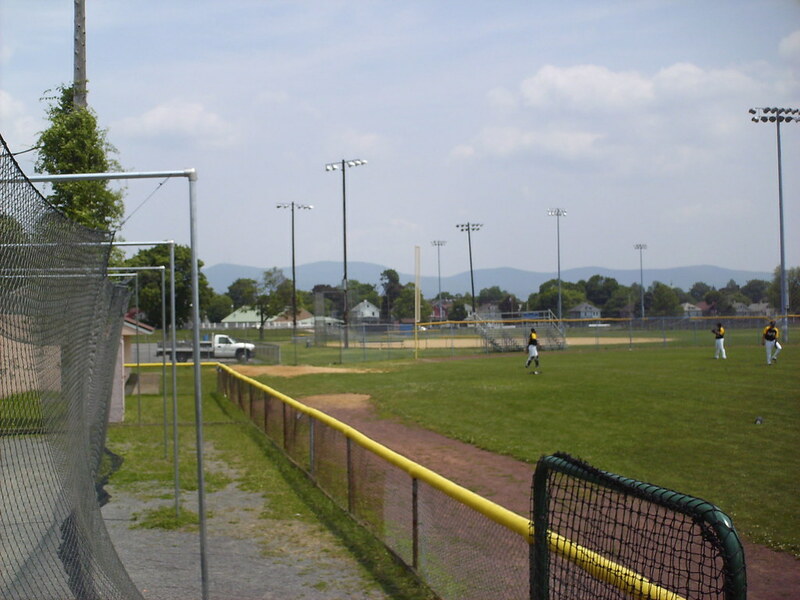 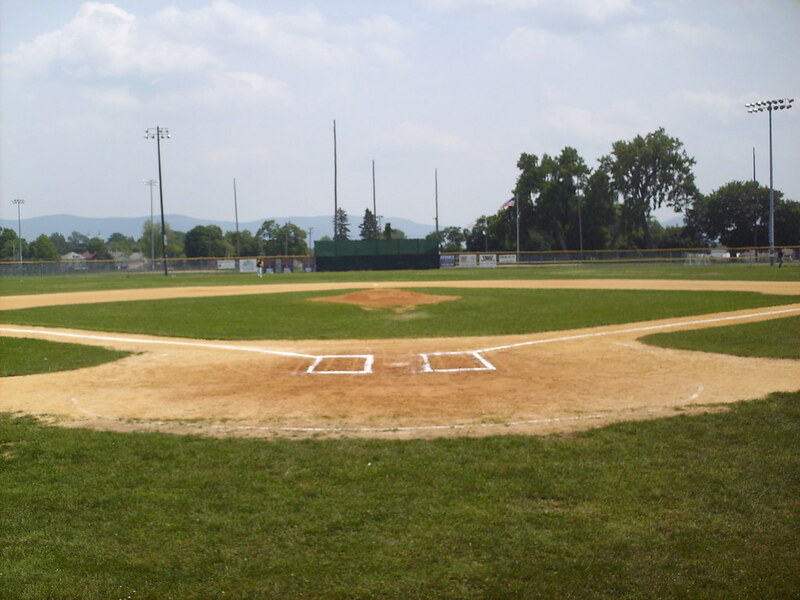 Batting cages sit beside the field and youth ballfields sit behind the outfield fence. 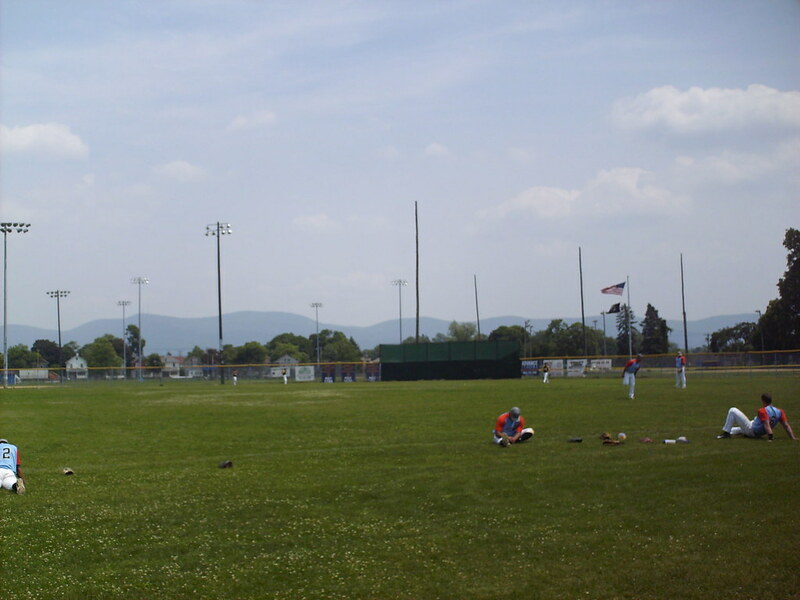 The chain link outfield fence features fairly uniform dimensions and a mountain view behind it. 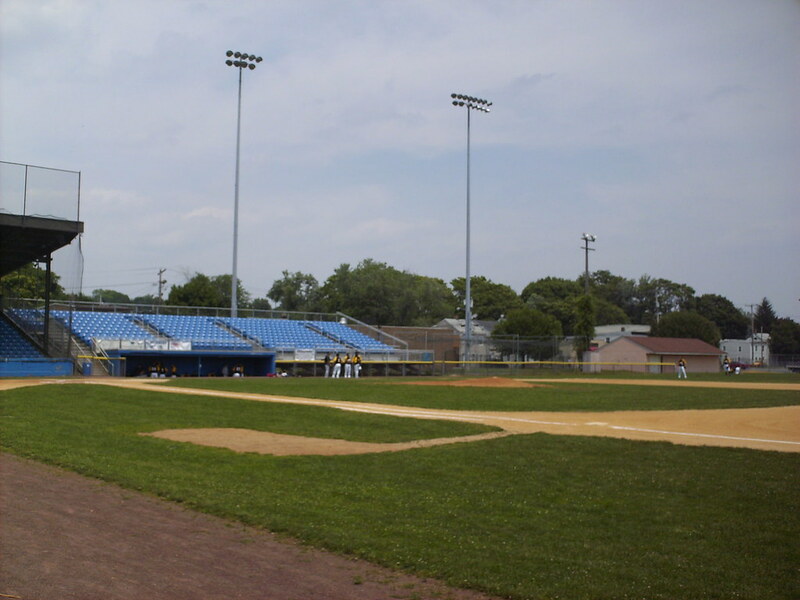 The only scoreboard at Delano-Hitch Stadium is a small electronic board in the right field corner showing the run totals and current inning. 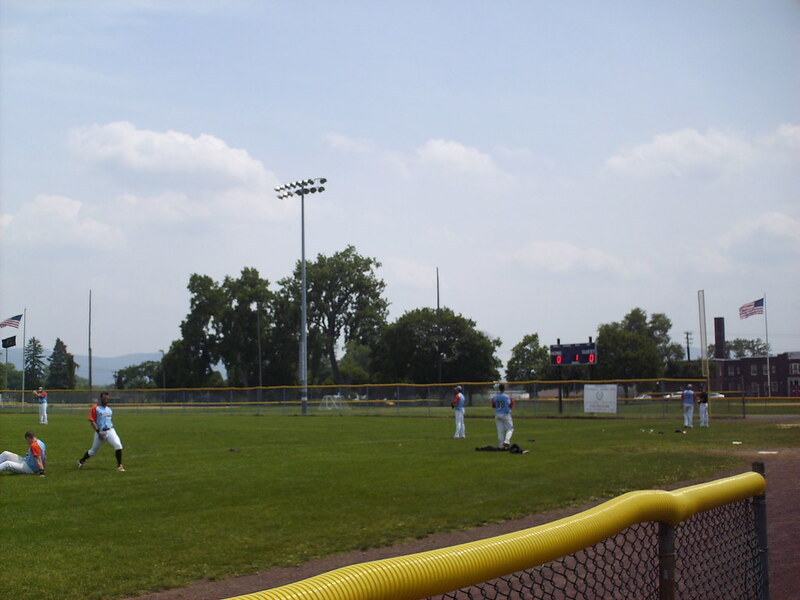 The Newburgh Newts on the field during a game at Delano-Hitch Stadium.